Another successful year at the Learning and Teaching Expo 2016! 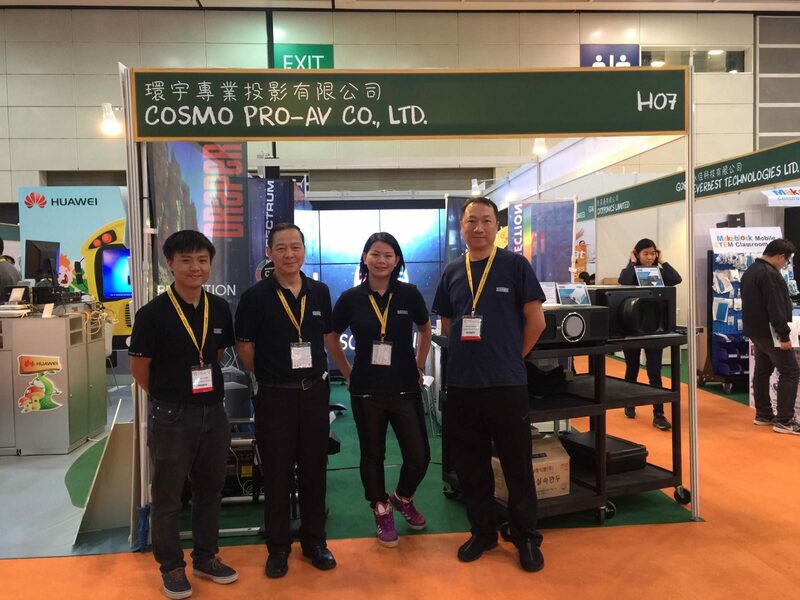 Cosmo Pro AV showcased latest Audio Visual technologies to many educators, including academics from overseas and Hong Kong universities and school leaders that visited this well established exhibition. Not only did Cosmo Pro AV demonstrate the latest visual technologies; Laser Projectors, Ultra Narrow Bezel Videowalls, HDView Fine Pixel LED Videowalls. We also introduced our latest involvement 3D Project Mapping & Audio-Visual Stage Effect Workshop, a program that aims to teach and educate primary to secondary school students in Hong Kong with hands-on experience related to the audio-visual and staging industry.